Could This Be The BMW M5 CS? The only changes so far are... with the trunk? If you thought that . 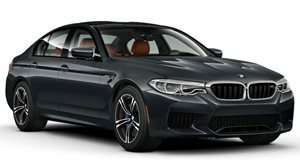 This is BMW’s highly acclaimed M division we’re talking about here. Our spy photographers were hanging out at the Nurburgring the other day and soon spotted this white BMW M5. Sure, at first glance it looks the , but a closer examination reveals some very inserting details. It’s not hard to notice something’s going on with its trunks. There’s a new spoiler design featuring split fins, which is very similar to the design found on the M3/M4CS. It also has a different design than the M5 Performance pack and comes fitted with M Carbon Ceramic brakes, yet another standard feature found on the M3/M4 CS. The obvious conclusion: this is an F90 M5 CS test mule, and an early one at that. Aside from the trunk bits, this prototype lacks additional aerodynamic parts, specifically up front, as well as unique wheels and upgraded exhaust tips. Point being, more is yet to come. We don’t know when BMW plans to roll out the M5 CS (assuming that’ll be the final name), but it probably won’t arrive until next year sometime. A debut at Frankfurt a little less than a year from now sounds plausible. When it does arrive, expect to find a 4.4-liter twin-turbo V8 with a modest power bump. Already good for a supercar-worthy 625 hp in the M5 Competition, there’s no guarantee there’ll be a power increase. However as the received a 28 hp increase compared to the standard sedan and coupe and 10 more ponies than the Competition Package, we suspect it will come with around 650 hp. Weight, on the other hand, will surely be a focus because less of it would be ideal. Expect ample amounts of carbon fiber throughout the body. These are only the first spy shots of the M5 CS and there’ll probably be more arriving in the near future.